These silk pillowcases are so wonderful to sleep on. I have fine hair and used to get birds nest hair in the morning with frequent split ends. Since using silk pillowcases I have been amazed at the difference it has made to both my hair and skin. My hairdresser was so impressed with the results, that he now sells my pillowcases in his shop. Other customers have commented that they no longer get creased skin in the morning. 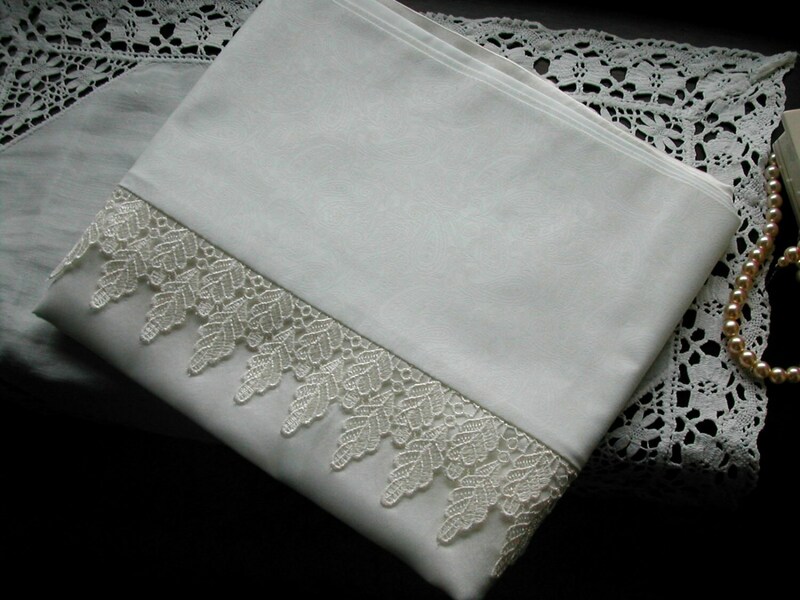 The pillowcases are made of mulberry charmeuse silk. It has a shine, like satin on one side and a matt finish on the other. Please state which you prefer. 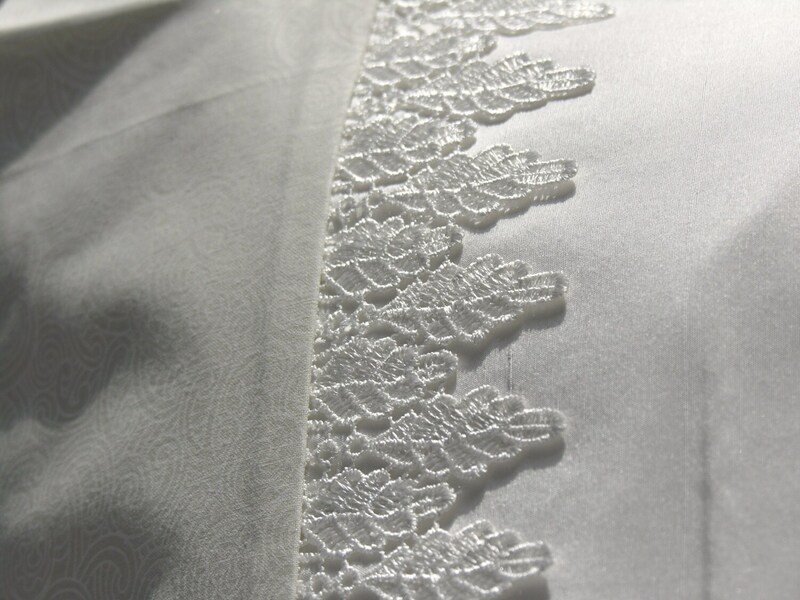 The trim is made of a guipure style lace, in a leaf design, which makes for a very elegant design and would be wonderful wedding present (if you can bear to give it away). 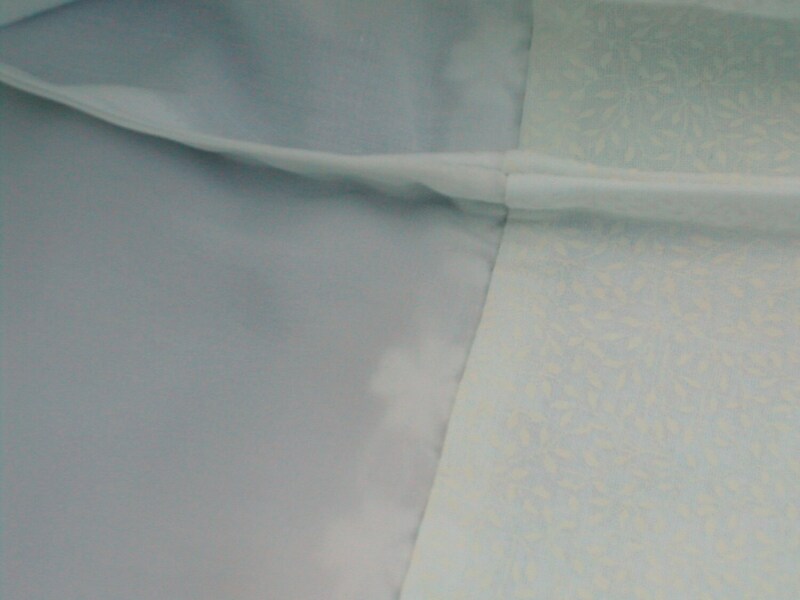 The top of the pillowcase is a white cotton with a swirl leaf pattern and the back is 100% Egyptian cotton. This is so that the pillow doesn't slip on the bed. All seams are enclosed so there are no raw edges . There is no inner flap and instead it fastens with ribbon ties (they can be made without). Silk pillowcases will last as long as cotton ones if you care for them properly. I wash mine in the machine on a silk/wool wash using a gentle detergent like Ecover for delicates. They will look after your hair and skin so its only fair that you look after them. If you would like fabric samples, or would like any more details please convo me. I love hearing from people. Please measure the size of your pillow before ordering, European square sizes can also be made to order. This design is also available in cream, but please contact me for any other colour combinations.